This article covers some new options for earning Avios via the new AerClub scheme in Ireland. Avios earning and spending opportunities which are only of interest to Irish residents – such as the two deals below – will in future run as a fourth daily article. They WILL appear on the website, on Twitter, on Facebook, on Apple News, on LinkedIn and on Flipboard. They will NOT be emailed to our subscriber list because the vast majority of our 9,000 subscribers would see them as irrelevant. Whilst Tesco has a major presence in Ireland, AerClub has teamed up with supermarket chain SuperValu. You earn one Real Rewards point for every €1 you spend in SuperValu. You can convert Real Rewards points into Avios at the rate of 1:1 with a minimum conversion of 50 points. This makes it roughly half as generous as the Tesco partnership which gets you 2.4 Avios per £1 spent. Until 31st March, you will receive 250 bonus Avios when you make your first conversion from Real Rewards to Avios. Full details can be found on the SuperValu site here. 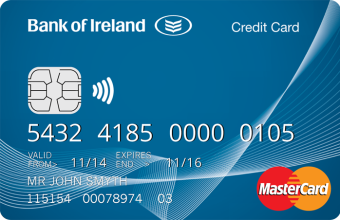 If you have a Bank of Ireland personal credit card, you can now leverage this to earn a handful of Avios points on your day to day spending. Frankly, 1 Avios point per €10 spent is weak. It even makes the 0.25 – 0.3 Avios per £1 on UK Visa and MasterCard products look good. However, if you’re doing the spending anyway, you might as well get some rewards. The SuperValu / Bank of Ireland partnership is outlined here. Thanks to Eoin for this. Thanks Rob, this is great news. I’m returning to Ireland post-Brexit and thought I’d lose all miles earning opportunities… Your coverage will be much appreciated. Tried to use my UK Tesco Clubcard in a Dublin Tesco last year but it wasn’t accepted. We have SuperValu in the north too. I’m assuming the €1 1avios will become £1 1avios? SuperValu in the North is unrelated to SuerValu in the South, the Northern shops were sold on, and only the name was kept. “The North Remembers” 🙂 Couldn’t resist the GoT reference…. UK Tesco Clubcard does not work in the Republic of Ireland. Neither does Boots Advantage. We have an Irish and UK accounts at both these chains. Kevin, I live on the border and often use my UK Clubcard in Tesco Letterkenny, Donegal without a problem. I get 1 point per € so the earning rate is slightly better. Perhaps stores close to the border have a different policy? Not true. Using my UK CC twice a week in Tesco Maynooth for fuel and food and never been refused. I’ve used my UK CC in Ireland a number of times. Cant remember the last time but it was within the last year. You get 1 point per Euro if memory serves. Worked for me in Dublin last year. It’s just over a year since I last used my UK Clubcard in Tesco Ireland, so it’s possible that they’ve changed something since then. I seem to recall that some staff were not too keen on the idea, but using the self-service tills it was fine. Boots is another matter entirely and they have not accepted UK Advantage cards for years. Never did get the bonus Avios for pre-registering with AerClub. Still not managed to get registered. Having changed Avios password to match Aer Lingus requirements I still can’t get the accounts to pair at registration. Raised it with the telephone support team and via staff on Twitter and still no resolution all these months later. I haven’t received the pre-register bonus either – did anyone actually get it? Not sure about that comment above. My UK registered Clubcard has always worked in Ireland (used in Dublin and Tipperary frequently ) earning more points than the UK due to the exchange rate. It seems it’s exactly the same system as it will also tell you your points balance on your receipt. Why have Aer Lingus not launched a branded credit card with Amex yet as Amex operate in Ireland already? Because it’s very difficult to get an Amex in Ireland, the requirements are similar to the UK International Dollar Card (which Raffles has detailed on here already). Furthermore, Irish cards have an annual tax of 30 euros and many have a per transaction fee. Amex has a contract to launch if it wants, I understand. The €30 stamp duty is a damper though and there is a limit to what they can issue in a country of 6m people. ROI population is around 4.7 million but ebbs and flows (actually still net migration – mainly graduates! – not quite offset by immigration). Most schemes for ROI don’t operate in NI (and vice versa). Supervalus in NI tend to be franchised by Cork based wholesaler Musgrave, which used to own Londis in GB and operates many Maces in NI. Doubt their (weak) reward scheme will ever cross border. New Aer Lingus programme is as rubbish as gold circle, so doubt you’ll have much to write about, Rob. And I’ve just just bought some junk food to go in Tesco Lr Bag & used UK clubcardd. Got the usual one euro one point from self-service checkout. I used my UK Tesco CC in Dublin yesterday as I always do. I have never had issues using it in the ROI. So it does work and has done for the last few years. If it will not scan then select “Item does not scan” as if it is a food item and enter the full number in then press enter. Supervalu Northern Ireland is not part of the rewards scheme and a different company registered in NI so no earning possible at NI stores. I checked this with them last week. As for AerClub 2 months on and like the guy above I still can not log in to my account to complete registration. 4 calls to the desk who pass it to IT who never get back to me. I am assured my number is active and my flights are credited. Award for best disasterous launch of a loyalty program goes to Aer Lingus without a doubt. They really are amateurs. There is the Irish Tesco credit card which gives Clubcard points. But do these go into the Irish Clubcard scheme which cannot be converted to Avios? KBC have a cash back credit card.